This passage, with its careful register referencing “blood,” and “unity,” and “countryman,” and “brother,” captures the nationalist and populist ideology behind the building of security walls. There is nothing new or original about walls; they have always been there, from the Wall of Jericho to Hadrian’s Wall to the Berlin Wall to Donald Trump’s imaginary wall on the Mexican border. There is something visceral and primeval in us that yearns for the protective presence of a wall. But walls aren’t always solely for the protection of citizens; they serve a variety of other functions. They have been used as militaristic symbols of impregnability, and permanence. more than twice the length of the Green Line, with about 85 percent of it cutting at times as far as eleven miles into the West Bank. Critics of the wall claim that is a tool for Israel to unilaterally expand its territory, much as the architects of the East Jerusalem plan envisioned when they called in 1967 for “maximum territory, minimum Arabs”— hemming in the Palestinians into ever-shrinking urban centers. The wall will isolate about twenty-five thousand Palestinians from the larger community. For if Palestine is a nation in the making, then its borders are still fluid and negotiable, and the more Israel encroaches into this nonexistent border, the more it would seem reasonable and neighbourly when it eventually gives back a portion of what it has taken. Construction on the wall began after the second intifada broke out in 2000, when suicide bombings and attacks on Israeli civilians increased dramatically. Proponents of the wall call it a necessary security buffer between Israel and the West Bank. The figures generally confirm this— according to most sources, between 2000 and July 2003, before the completion of the “first continuous segment” of the wall in the north, seventy- three suicide bombings were carried out from the West Bank; however, from August 2003 to the end of 2006, only eighteen attacks were carried out. To get out of their neighborhood and into Israel for work, most Palestinians wake up early, some as early as two a.m., to be among the first at the checkpoint when it opens at four a.m. I got to the Qalandiya checkpoint as it was opening. 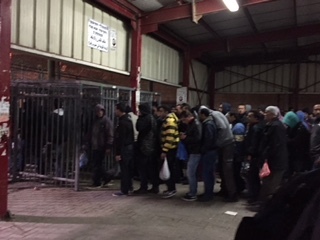 There were men and women already in line; a few were seated on the red iron benches, the only furniture in the warehouse-like building that, together with the military kiosks and the turnstiles before the kiosks, form this, the biggest checkpoint in Israel. Palestinians who hold West Bank IDs must have a permit to pass through the checkpoint into East Jerusalem and Israel for work, medical care, education, or for religious reasons. The checkpoints, acting together with the walls, control population movement, they control labour, they control commerce, they control privilege. There are about thirty-two major checkpoints between Israel and the West Bank; then there are uncountable smaller, or “flying,” checkpoints, which can be erected by dragging large concrete blocks into the middle of the road at any time, or by closing the ubiquitous yellow gates that stand at the head of any road leading to a Palestinian village or town. The flying checkpoints are arbitrary, they are unpredictable, and they serve their purpose: to keep the Palestinians off balance, to make the Israeli presence felt. And to control terror attacks. Yet despite the walls and fences and checkpoints, about fifty thousand Palestinians go illegally into the Israeli territory daily to work— proving that the wall is not as insurmountable as it is made to appear, and that its primary purpose cannot be for security, but for something else. 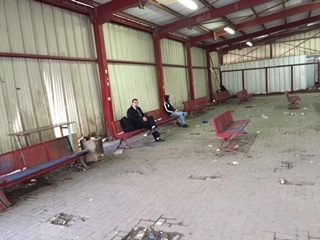 At Qalandiya, not all must pass on foot through the turnstiles. East Jerusalem residents can cross in their cars, which have yellow license plates. But West Bank residents, with some exceptions relating to old age, must have a permit to cross. The easiest way of getting a permit is to get a job in Israel, and for that you must be over twenty two, and married, and your name must not be on any blacklist— the conditions accrete, almost as afterthoughts, one upon the other. This was an example of control through bureaucracy, Hanna, my guide, told me. There were currently between two hundred and three hundred thousand Palestinians on the secret blacklist. “How do you get on a blacklist?” I asked her. First of all, you don’t have to have done anything wrong. Anyone in your extended family can be punished for the wrong of another member living in another town; that family member can be someone you’ve never even met before, but as long as he or she is related to you, you can get punished for his or her wrongdoing. This is the concept of collective punishment. It is also an excellent way to turn innocent people into informers. If you have a family of five, or ten, an extended family, all depending on you, and suddenly your means of livelihood is threatened, you’ll do anything to safeguard your job, including turning informer. Also, getting a pass might make you feel grateful—perhaps after going through all the hoops and obtaining a permit, you’ll felt as if you are special, a chosen one. Hanna belonged to a group of elderly Jewish women, Machsom Watch, trying to help somehow, even if it meant speaking against their own government. She was over eighty and had worked as a secretary to David Ben Gurion in the late 1950s and early 1960s. She and the other women took turns volunteering at the checkpoints, trying to protect the Palestinians, some of whom didn’t speak Hebrew, from arbitrary harassment by the soldiers manning the checkpoints. But to these Palestinians, the barbed wire was the least of their worries. The worst was to get to the kiosk, to hand over your ID card and work permit and magnetic card, only to be told you couldn’t pass, that your permit had been revoked for some reason. And the soldiers were not obliged to tell you the reason. A big-jawed Palestinian man had been hovering on the edge of our little group as we talked to Hanna. He was dressed like the others in jeans and a jacket. He looked worried, and he kept following us, then pulling back. Finally he approached Hanna and started to speak to her in Hebrew. He said he had been turned back at the checkpoint. He didn’t know why. Had it happened to him before? No. He was over fifty, he had been going through the checkpoint for years. He lived in Beit Hanina. Yes, of course he had a family, wife and children and parents. This had never happened to him before. Hanna took his pass and saw that everything was in order. She said sometimes they could just tell you there was a glitch with the machine, that you were blocked, just to play with your mind. The aim was to keep needling you, until you snapped. Then they threw you in jail, one less Palestinian out there. Aida is home to over five thousand Palestinians, uprooted from their homes after 1948. In that time, multiple generations have lived here; the camp has grown from a village of tents to a city of concrete, with buildings piled on top of buildings because here growth can only be vertical. Young families build their homes on top of their parents’ homes; the house on whose roof I was now standing housed seven families. “But it is all a temporary arrangement,” my host and guide, Munther Amirah, said, laughing. “Temporarily permanent” seemed to be a running joke among the Palestinians. Their exile was supposed to be temporary, the separation barrier was temporary, the occupation was temporary, the settlements were temporary, and they had all been temporary since 1948, since the creation of the state of Israel. The only thing permanent was the hope that the Palestinians would return to their homes in Jerusalem. That was the meaning of the key of return—it was a symbol of hope. It was the key to each and every home left long ago, still waiting, pristine, the pots and pans and toys still intact as they were left, waiting to be touched and utilized by their real owners; the olive trees waiting to be watered and plucked by the hands that planted them. That is the myth of return. It is a narrative encouraged in order to keep hope alive. But of course harsh concrete reality keeps intruding at every turn. And life in the camp has become something of a balancing act— balancing myth with reality. On one of the walls, there is a painting of an olive tree, and under it a line from a poem: If the Olive trees knew who planted them/their oil would turn to tears. . . .
From the rooftop where we stood, nothing seemed more real than the concrete wall of separation a few meters away, with its huge tower, a staple feature of the separation wall. There were soldiers inside the tower, watching, monitoring, waiting. There was graffiti on the wall, showing the faces and names of young men and women killed or incarcerated in the course of the struggle; there were scenes of resistance and dates and numbers—one was the number 194, referring to the UN resolution that is commonly interpreted as granting the refugees a right of return. A right that kept hitting the concrete wall of Israeli determination not only to keep them here forever, but to make their stay here as uncomfortable as possible. “Why? Simple. They want us to go away. To disappear,” Amirah said. The wall meandered and curved, for as long as the eye could see; facing us was a part of the wall that had been chipped and hacked at, cutting through the concrete to show the iron armature embedded inside. Protesters had attempted to break down the wall in 2009. A purely symbolic gesture—there is no breaking this wall, not by ordinary human hands. The act had sparked a reprisal by the Israeli military, which had invaded the camp, barricading the entrance and throwing tear gas. My guide, before we came up to the roof, showed me a patched section in the wall of his home where soldiers had cut a hole to access the building, and then progressed from house to house, making a hole in each wall, thus avoiding exposure in the streets, where they’d have faced heavy resistance. In one of the houses a woman, Noha Quattmesh, a mother of five, had resisted the intrusion, and was reported to have asked the soldiers, “Why do you cut through my wall to come in? Why not use the door?” She threw open the door, and was hit by a tear gas projectile shot by soldiers outside. She died. Exile is difficult to experience. Earlier we had gone to the cemetery, located at the entrance of the camp, to view her grave and that of a boy recently shot dead by Israeli soldiers. His name was Abdurrahman; he had just returned from school, wearing his backpack, and, as many Palestinian kids do when they see Israeli army vehicles, he had thrown stones at a passing Israeli army jeep. They shot him dead. He was thirteen years old. On the grave there were pebbles painted in the colours of the Palestinian flag, red and green and white, and a flag itself, and then a picture of the boy. For people like him, whose names are etched into the headstones here, there would be no return. To our right the wall intrudes in a fingerlike projection into the Palestinian side. “Why does the wall dip that far?” I asked. Although they lived on the Israeli side, the families inside the wall could access schools and health care only on the Palestinian side of the wall. And even though the distance between al-Wallajeh and Bethlehem was only a few kilometers, the residents of those houses in the seam had to circle many miles away to their designated checkpoint, and then from there to here, doubling and tripling the real distance between the two points. The separation barrier had overnight shifted borders and elongated distances. In some areas, Palestinian towns, cut off by the wall, were connected to each other only by tunnels controlled by Israeli security forces. These islands of Palestinian population have been likened to South Africa’s apartheid- era “Bantustans” or townships— densely populated areas created by the colonizing power for the uprooted “natives,” easy to monitor and control through a pass or permit system, and close enough to exploit for cheap labour. Alon Cohen- Lifshitz is an architect who works with Bimkom, a human rights organization founded in 1999 by Israeli professionals, mainly architects and planners, with the aim of advancing the development of Israeli planning policies, making them more just and respectful of human rights, including in East Jerusalem and the West Bank. Alon had been trying to explain to me what a seam zone was; now he was taking me to see one. He took me to the village of Beit Ijza. Here he showed me an extreme example of how the seam zone manifests— a single Arab home is cut off from the rest of the village, and the Israeli settlement of Givon HaHadasha is wrapped around the single home. The entire house is caged in with a high fence and barbed wires. A thin passage connects its residents to the rest of the village. Only the family living in the house can come in through the gate; visitors have to get a special permit to enter. 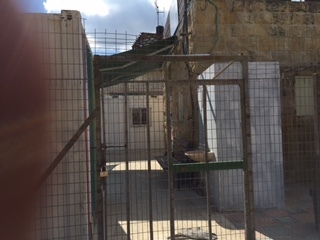 The intimidation and harassment the family endures from the encircling settler community can only be imagined— we could see pieces of garbage that they said had been thrown into the compound from over the fence by the settlers. The seam zones were created, according to official narrative, to protect Israeli settler communities and holy sites that lie east of the Green Line and west of the separation barrier. Many settler communities are placed deep inside the West Bank, in and around Palestinian communities; in some cases, fences and special security zones have been erected on private Palestinian land in order to protect the settlers. In other cases, including the seam zones, the separation barrier has cut off Palestinian farms and lands close to the Israeli border from their owners, and has de facto annexed these lands into Israel. Both cases seem to be evidence of Israel’s persistent attempt to take over more land inside the West Bank. For Palestinian families in the seam zones, life can be isolated, lonely, and cruel. Arab al- Ramadin al- Janubi is a Bedouin village trapped in the seam zone. It is only a few miles away from Qalqilya and used to be part of five loosely linked villages, two of which have been cut off by the wall. Al- Janubi and the other village, Arab Abu Farda, now find themselves marooned on the Israeli side. A few squalid houses made out of scrap metal and wood form the entire village. The population is over three hundred, our host, Hassan, tells us. He is thirty-five and was born and raised here. The Bedouins are traditionally nomadic; their lives are structured around the grazing needs of their livestock. How does it feel to be trapped in a seam zone, with no livestock? Hassan shrugs. He has never really known the nomadic life. He knew that the family moved from two previous locations before settling here. He turns to his father, a seventy- year- old man listening and nodding, for help. Three kids, two girls and a boy, all Hassan’s children, ages ranging from ten to three, sit on a mat next to the old man, looking at us shyly. The old man remembers that they came from Bir Saba (known to the Israelis as Be’er Sheva), with a stop in Hebron, before coming here. They bought this land in the 1990s, though they had been here since 1967. Life here isn’t easy; it is a closed military area, so they need permits to continue to live in their homes. 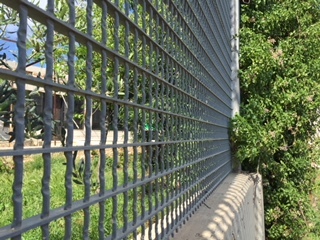 Even though they are on the Israeli side, they are not allowed to cross the Green Line, and they can’t have weddings or celebrate festivals because they can’t have visitors, even family members— visitors from the Palestinian territories need permits to visit, and special permits to stay overnight. They used to get water from the nearby Israeli settlement of Alfei Menashe, although today their water comes from the nearby Palestinian village of Hableh, and they get their electricity from the Palestinian side under the fence. The men work in Qalqilya and in the nearby Israeli settlement. They run their own primary school in a rectangular building with wooden windows, but for secondary school the children have to go to the Palestinian side through the checkpoint. Every day. They walk to the checkpoint and then take a bus to school in Qalqilya. Each child must have his or her permit. “What if a child loses his permit?” I asked. Then all the children would be detained at the checkpoint until a parent came to identify the child. And if a seam zone dweller falls ill and has to go to the hospital on the Palestinian side, the ambulance must wait on the other side of the checkpoint, the Palestinian side, and the patient is taken in a cart to the ambulance. At the moment they had a demolition order on their homes. The other day a military officer came and offered to move them to the Palestinian side, but they refused. A quarter of all applications are denied, and the appeal process is profoundly complex and differs across different permit regimes. Access is granted only through the sole gate recorded on the permit, and nighttime access requires additional permissions. Permits expire after varying periods. Donkeys, automobiles, and work vehicles may or may not be allowed in the seam zone, depending on specificities, although this is also arbitrary. Some gates allow entry by villagers for farming their lands, whereas other gates allow only merchandise to pass to and from Israel. Some gates open two or three times a day; others are closed randomly and without any previous notice. The hours of operation of the gates are erratic. 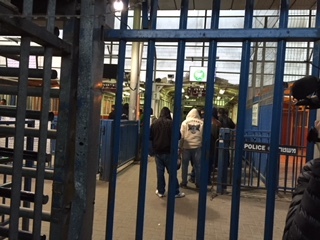 More recently, privatization of some of these crossing points has meant that “civilian security guards” are in charge of some crossing points alongside or instead of soldiers or border police. The dizzying complexity and arbitrariness of the measures create disorientation, confusion, and uncertainty, excellent techniques for maintaining control over civilians. From al- Janubi, Alon took me to a farm in Jayyus to demonstrate the problem of the “agricultural gates.” We wandered about a bit before a young man pointed us in the direction of the farm, and we found the owner and two young men plucking loquat fruits off the trees and arranging them in cartons. “Where do the fruits go?” I asked the owner, Sharif Khaled. “Ramallah,” he said. All around were orchards belonging to Palestinian families who lived across the wall in Jayyus and Qalqilya. “How old do you think I am?” Khaled asked. Seventy- three, it turned out. This farm had been in his family before he was born; he had two farms on this side of the wall, totalling forty dunams (One dunam is 0.24 acres). He was one of a lucky few whose farms were mostly on the Palestinian side of the wall, in Jayyus— four farms, in Khaled’s case. To visit this farm on the Israeli side, he needed to have a permit. Which was why he was in a good mood today, his agricultural permit had just been renewed, following the Israeli military’s recognition of his ownership of the land. He took it out and showed us. A long piece of paper, with his biographical data on it. Valid from February 2016 to February 2018. “This is very good. A whole two years,” he said. Before the Israeli military recognized Abu Azzam’s ownership of the farms, he had been granted a permit for only three months. The permit stated the gate he must use, which was open only during three slots—6:30 to 7:00 a.m., 1:30 to 2:00 p.m., and 5:00 to 5:30 p.m.— seven days a week. Was it hard to get the permit? Oh yes. He had to prove this was his family land with a Israeli “land ownership document” which costs thirty- eight shekels, then he had to prove that he was one of the heirs of the land with a valid inheritance order, and that the land was on the other side of the wall— this was done by showing a current map of the farm. Finally, he attached to his application for permit a certificate from the Jayyus municipality to prove that he still uses the land and that he did not sell it. Two of his sons had applied and were denied permits to visit the farm. Khaled was one of five brothers, and he was the only one still living in Jayyus. The others had left— one currently lived in San Diego. “Why is the whole permit system so hard?” I asked Alon later. That was the whole point, he told me. To discourage these farmers from using their lands, because any land unused for a period of three years could be taken over by the government. Legally. “Why are you against the wall?” I asked him. “Walls are not the answer,” he said. “Walls can never solve the Israeli-Palestinian problem.” Bimkom, he said, was against all barriers, including gated communities, because they violated people’s freedom of movement and caused untold suffering. The route between Qalqilya and Jayyus used to be only five kilometers long, using agricultural paths, before the barrier was erected, making the use of these paths impossible. Now a Palestinian must travel an average of fifteen kilometers to get between the two places. But still, Jayyus was one of the few Palestinian villages that had been able to challenge the expropriation of its land by the separation barrier. They took the Israeli government to court and were able to have the course of the wall altered. Jayyus, along with other villages and the Association for Civil Rights in Israel, won two decisions: in 2009 Jayyus recovered 2,488 dunams of land, including land belonging to Abu Azzam, and one water well, after the course of the wall was altered. Organizations like Bimkom and individuals, both Palestinian and Israeli, have been challenging Israeli government policies in the West Bank. Some of these challenges have borne fruit. In some areas, the building of the barrier has been suspended since 2014 due to court cases brought by Palestinian communities. In Qalqilya and Jayyus, about three thousand dunams of land was returned to the community. But the poster child for successful struggle against the incursion of the wall into community lands remains the town of Budrus. The story of this tiny town’s resistance to the wall is captured in the documentary film Budrus, by the director Julia Bacha and the organization Just Vision. The movie tells the story of the peaceful resistance to the encroachment of the wall into the village’s land. If the wall had continued as planned, it would have taken 1,200 dunams of land, including three thousand olive trees. The wall would have cut in half the village cemetery, and would have passed right in front of the village school, hemming in the already tiny, claustrophobic village. In 2003, residents of Budrus, led by Ayed Morrar, decided to protest, peacefully. Women lay in front of bulldozers, children sang, men marched, and soon foreign and Israeli civil rights activists joined their ranks. International media took notice as Budrus carried out fifty-five demonstrations against the wall, lasting over eleven months, and won. Their peaceful marches and shrewd use of the media to publicize their struggle became a model for other towns like Bil’in and Nabi Saleh. “So, is that the end of the barrier?” I asked. But the important thing was that a precedent had been set. The wall can be challenged. Activists like Ayed Morrar, like Alon Cohen-Lifshitz, like the residents of Bil’in and Ni’leen and international organizations and volunteers, continue to pressure Israel to live up to its democratic ideals. Israel faces an existential threat, by its very location in the midst of enemy countries, but building walls is never going to solve the Israel-Palestine question. When you build a wall between yourself and others, you are basically saying that you have stopped listening and seeing. You have cut off contact. And how can there be understanding without contact? 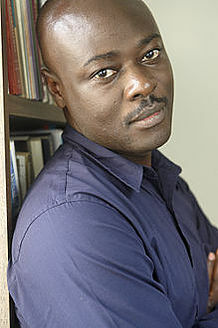 *The Separation Wall by Helon Habila was first published in the anthology: Kingdom of Olives and Ash: Writers Confront the Occupation, edited by Michael Chabon and Ayelet Waldman, Harper Perennial (May 30, 2017). His most current book is a nonfiction account of the 2014 kidnapping of schoolgirls in Nigeria titled, The Chibok Girls: The Boko Haram Kidnappings and Islamist Militancy in Nigeria.Habila lives in Virginia with his family.